8" rise per row and a 24" tread depth. 2" x 10" clear anodized aluminum seat planks. Double 2" x 10" mill finish footboards. 1" x 6" riser on all rows with a 2" x 10" riser on last row only. Chain link guardrail system along back and down sides to row 3. All-aluminum construction with welded aluminum angle frames. 4' center aisle on 21' and 33' units. 3' aisle on 15' unit located on left side of bleacher (when seated). 27" unit has an off-center aisle. Seating capacity: 82 to 184 seats. Available lengths: 15', 21', 27', 33. 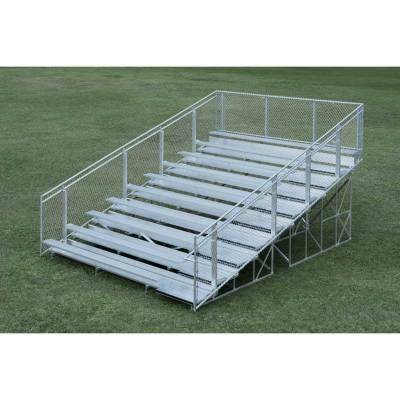 Our Aluminum 10 Row Non-Elevated Bleacher is a great choice for a mid-sized venue. All models feature a chain-link guardrail and most models feature an off-center aisle with handrail. All of our Non-Elevated Bleachers have an 8" rise per row and a 24" tread depth. 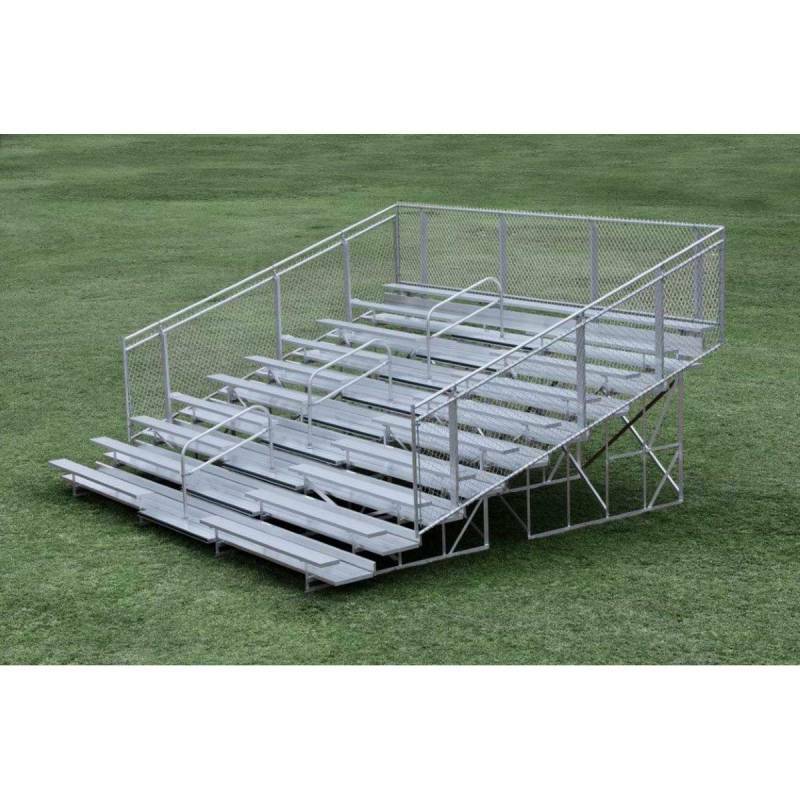 Each bleacher style providing quality and durable solution for those looking to expand their recreational space. 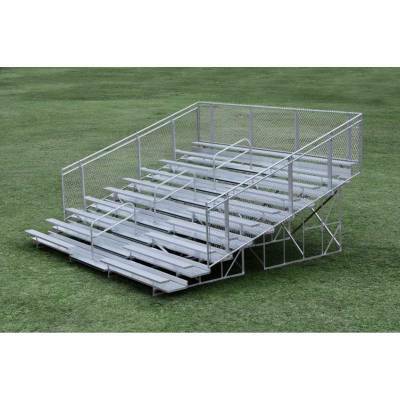 All of our bleachers feature clear, anodized aluminum seat planks for a durable, corrosion resistant surface and mill finished footboards for added traction. No matter the style, you'll find the bleacher that will suit your individual needs, as well as a piece of craftsmanship that will last.